Home / News / Escape the hustle and bustle with these fantastic out of London conference venues! London has so much to offer, but sometimes, it’s worth travelling that little bit further to add an extra special something to your conference. More competitive rates, bigger bedrooms, country estates and not to mention fresh air(!) are all huge benefits to hosting your event outside of London. We have identified just a few regional gems well worth considering for your next event! Winchester Cathedral: One of the UK’s most famous Cathedrals’, Winchester Cathedral is best known for its’ history and of course, it’s Christmas Market! But look a little further and you will find some fantastic conference and event spaces here, all a direct train journey away from London Waterloo. 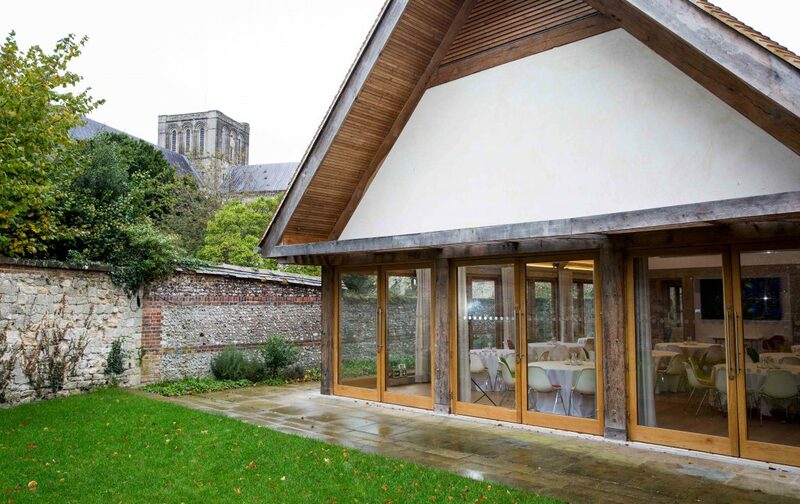 We especially love The Wessex Centre, a self contained event space on the grounds of Winchester Cathedral with its’ own private garden, perfect for summer conferences for up to 100 guests. 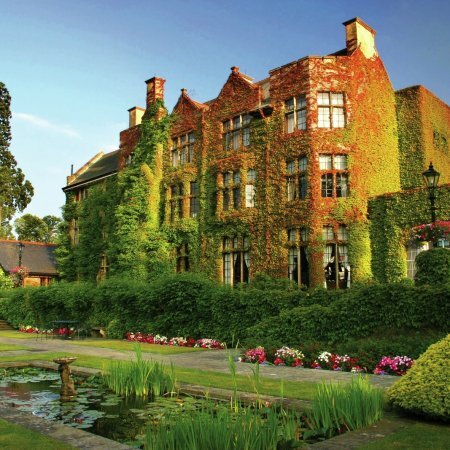 Pennyhill Park: A truly luxurious venue in Surrey, Pennyhill Park has so much to offer for conferences and events. 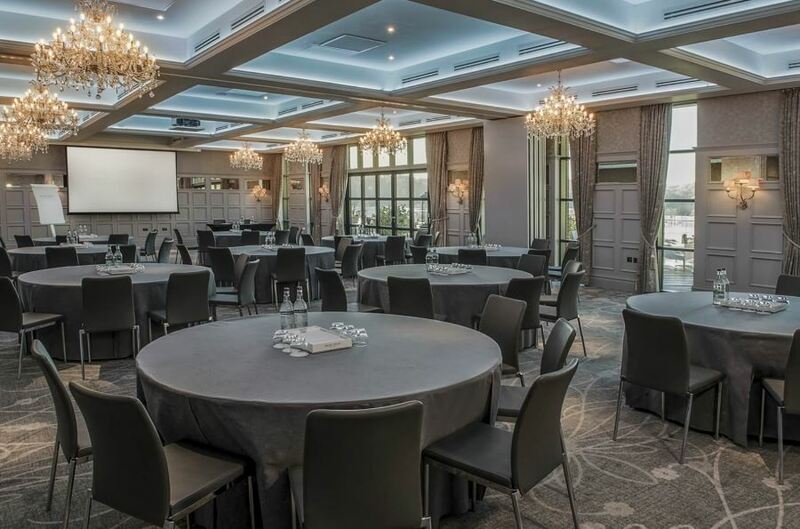 With a capacity for up to 120 guests cabaret style, many of the meeting spaces here are flooded with natural daylight, overlooking some seriously beautiful grounds. To talk strategy, head to the Power Room, purpose built for the England Rubgy Team (if it’s good enough for them, it’s good enough for us!). Home to one of the most impressive spas around, this venue is perfect for an extra special something post conference. 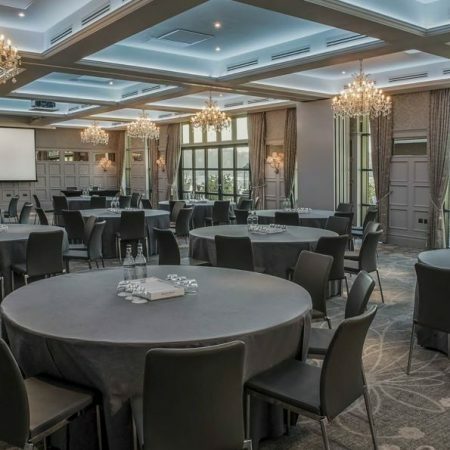 DeVere Latimer Estate: Benefiting from a recent and extensive refurbishment, DeVere Latimer Estate in Buckinghamshire is fantastic for out of London conferences and exclusive takeovers. Combining 21st Century luxury with original period features, this venue can host up to 240 guests in theatre style. With a total of 28 meeting spaces, there is a space here to suit almost every event. South Lodge: Set across 93 acres of beautiful parkland in the West Sussex Countryside, South Lodge is a luxury country estate. Home to 84 individually designed bedrooms and 12 meeting spaces, this venue is perfect for exclusive take-overs. 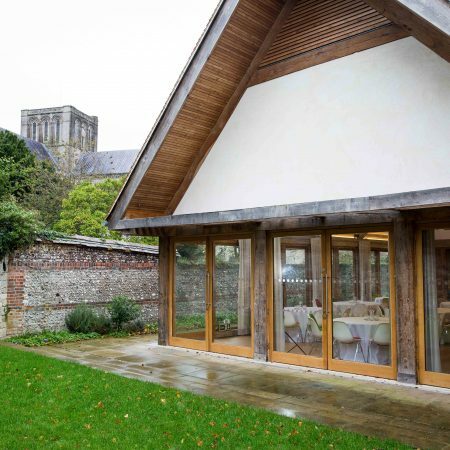 Accessible from Central London in 45 minutes (or failing that, there is a helipad in the grounds, too), this venue is perfect for an out of London retreat. The largest event spaces here can each host up to 170 delegates, theatre style, and many of the meeting rooms have their own private terraces. 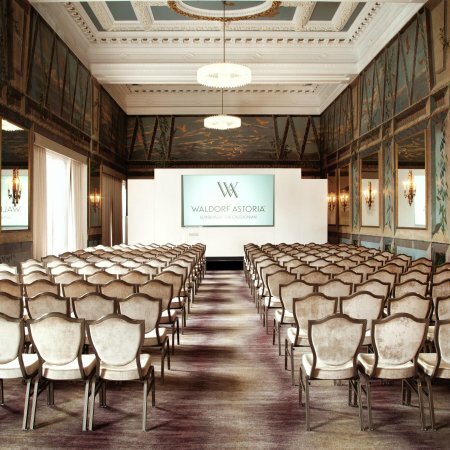 Waldorf Astoria Edinburgh: Edinburgh is such an amazing city, home to a number of fantastic conference venues. 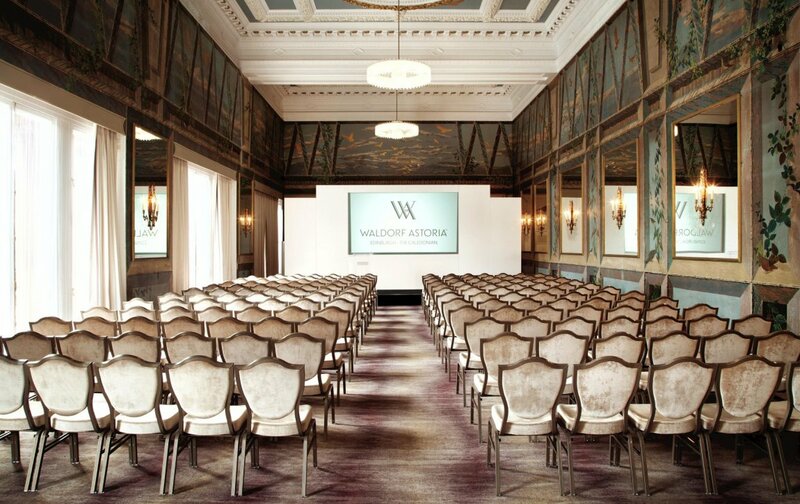 On our recent trip to Edinburgh, we visited the Waldorf Astoria, a venue with a view like no other! Overlooking Edinburgh Castle, this hotel is seeping with elegance and sophistication. The Castle Lounge can host up to 300 guests theatre in a light, bright space flooded with natural daylight, or 500 for a post conference drinks reception. 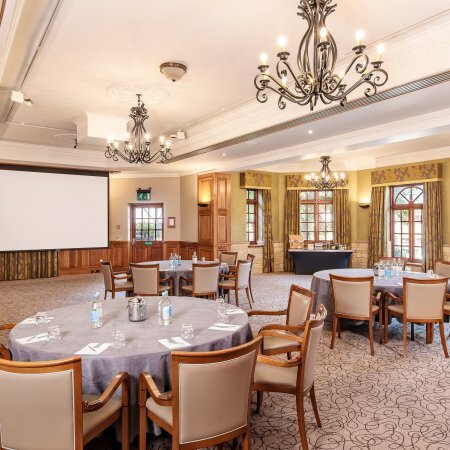 The Belfry: The award winning Belfry resort in Birmingham is perfectly positioned for events for delegates travelling from all across the country. 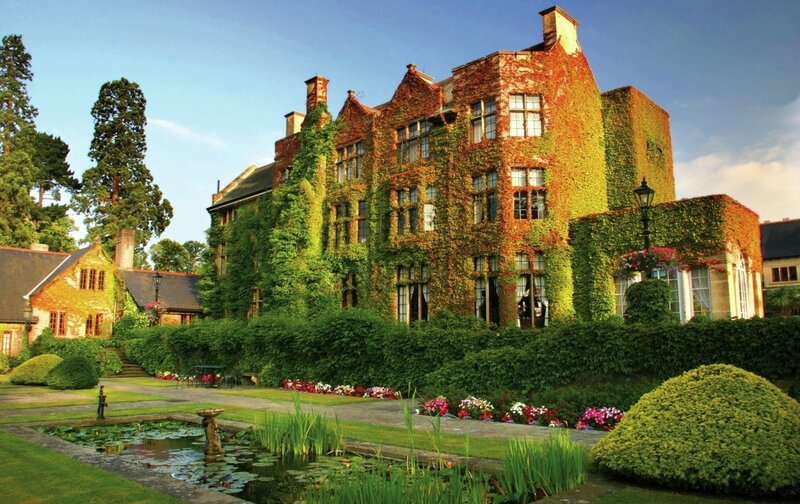 Surrounded by 550 acres of countryside, The Belfry resort is home to a luxury spa, golf course and even a nightclub offering a fantastic venue for away days and residential conferences. 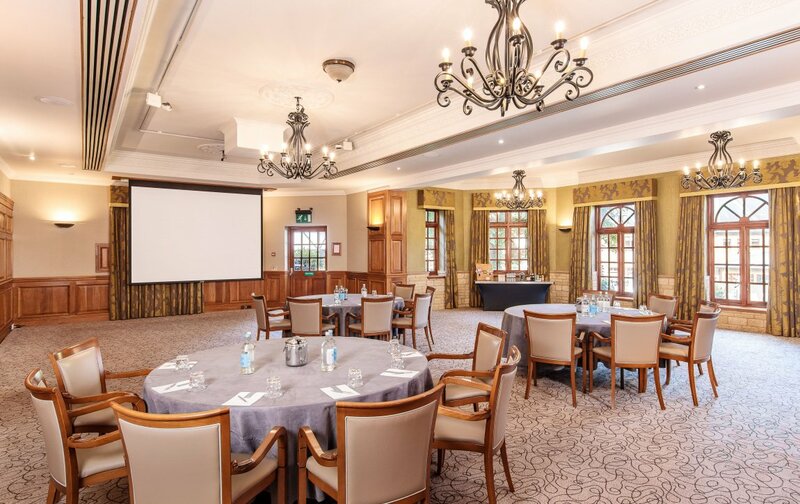 The Belfry can host up to 1000 guests and has a variety of event spaces, for conferences of all sizes. Manchester Central Convention Complex: Manchester is undoubtedly rivalling London as event and conference capital! For large conferences and exhibitions, look no further than Manchester Central Convention Complex. Home to a huge array of event spaces including a purpose built 804 seat auditorium and the Central Hall, offering a blank canvas pillar free exhibition space, there is something for events of every size at this venue.